This is a unique experience of laughing and dancing together set to traditional African and Indian music making it exhilarating and very enjoyable. Laughing and dancing are both expressions of joy which is the very basics of Laughter Yoga. If we think of dancing as an aerobic exercise then combining it with laughing makes it an excellent cardio workout. Members of the laughter clubs love to dance and party which helps them to celebrate life and enjoy to their maximum. 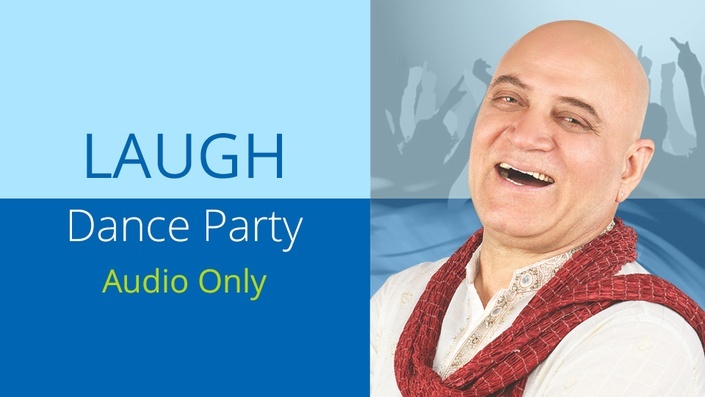 This is a non- stop laugh and dance experience interspersed with popular laughter exercises taken from the Laughter Yoga clubs.